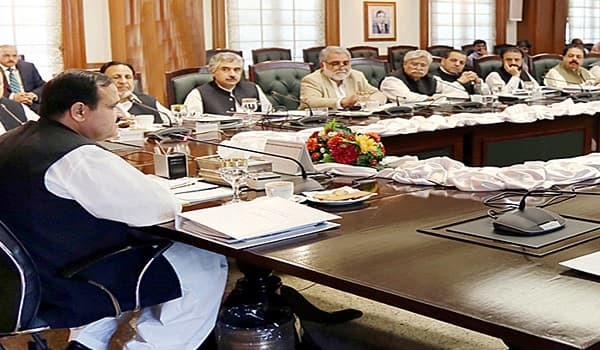 Bahawalpur: The Cabinet has accorded approval to various mega development schemes worth PKR 7 billion for three districts of Bahawalpur Division, a news source reported. The districts are Bahawalpur, Rahim Yar Khan, and Bahawalnagar. The decision was taken at a meeting of the provincial cabinet, which met for the first time in South Punjab. Chief Minister Usman Buzdar presided over the sixth cabinet meeting, which was attended by ministers, advisers, special assistants, chief secretary, administrative secretaries, and other officials. The provincial government decided to provide additional funds worth PKR 69 million for a water pipeline extension project for the residents of Cholistan Desert. The proposed pipeline will be extended from Kudwala to Banna Post in Cholistan. The cabinet also approved an additional amount of PKR 120 million for the establishment of Cadet College in Khanpur and PKR 210 million for the completion of a sewerage scheme in Chishtian. The chief minister said that a ring road will soon be completed in Bahawalpur City and the government will release PKR 10 million to fund the road project.